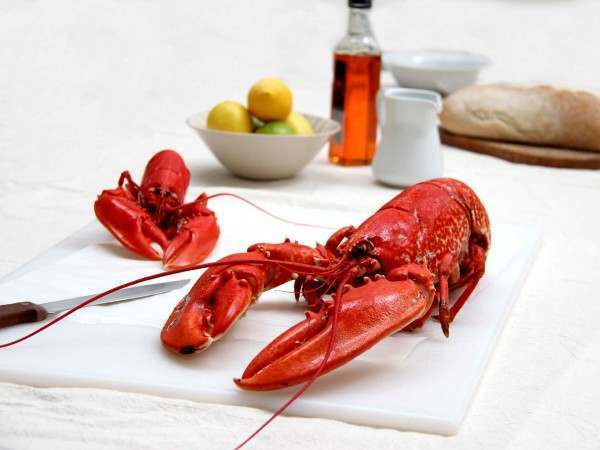 Fancy a New England or Canadian lobster? A vast lobster industry there exports all over the world and Americans abroad tend to insist on ’Maine lobster if you please’. These are cooked and ready to eat. They tend to be smallish - you'll need 1 per serving. **BLOCK frozen means your lobster is frozen within a giant icecube. **NORMAL don't have the icecube so need to be looked after a bit more carefully in your freezer, to avoid the claws coming adrift. But' they'll take up less space. If you need a claw cracker, go here. Related links to "American cooked lobster"
Created by the great French chef, Escoffier.